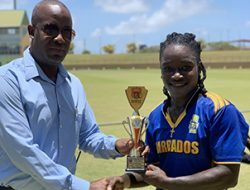 ST. JOHN’S, Antigua – Barbados Pride, as expected, completed victory inside three days over Trinidad & Tobago Red Force in the West Indies Championship on Saturday, but the other two matches looked set for exciting finishes. 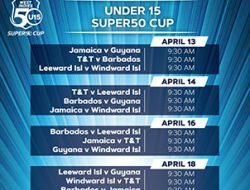 Former WINDIES Under-19 World Cup-winning all-rounder Shamar Springer led the demolition of the bottom half of the Red Force’s batting before the Pride successfully chased 59 and seal a seven-wicket victory at the Brian Lara Cricket Academy on the third day of fifth round matches. 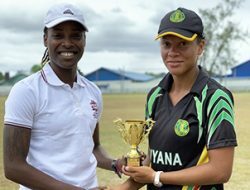 At the same time – Guyana Jaguars lower-order batting defied another destructive spell from off-spinner Rahkeem Cornwall to leave Leeward Islands Hurricanes to pursue 291 for victory at the Guyana National Stadium. 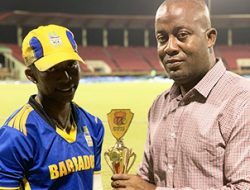 And, Scorpions Dennis Bulli topped Windward Islands Voclanoes’ fellow left-arm spinner Larry Edwards to set up an intriguing final day between their sides at the Grenada National Cricket Stadium. 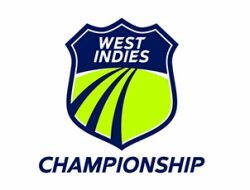 Springer grabbed three of the last four Red Force wickets to end with 4-24 from 12.4 overs, as the home team, resuming from their overnight total of 62 for six, were bowled out inside the first hour. 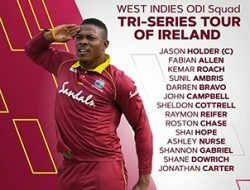 Odean Smith led the way for Red Force with 28 and Imran Khan made 25, as they frustrated the Pride for almost 45 minutes to extend their overnight seventh-wicket stand to 52. 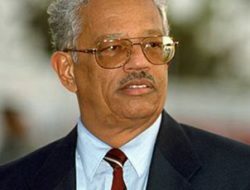 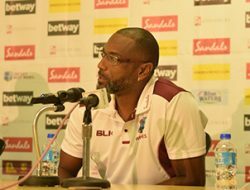 Once Kevin Stoute bowled Khan however, there little resistance from the rest of the batting, as the home team lost their last four wickets for five runs in the space of 22 balls. 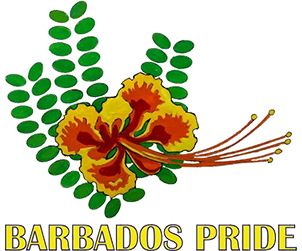 Though Pride lost opener Shayne Moseley and Aaron Jones cheaply, a stand of 39 between left-handed opener Anthony Alleyne and his captain Jonathan Carter put the visitors on course for victory. 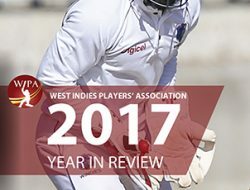 Cornwall continued to impress with 6-70 from 39 overs to finish with match figures of 10-140 – the second time he has achieved the feat in 47 first-class matches. 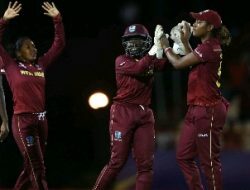 Stubborn batting from the lower-order – led by Clinton Pestano with 46, supported by Romario Shepherd with 39 and WINDIES all-rounder Keemo Paul with 22 – beefed up the Jags’ total and leave the Hurricanes with a challenging chase on their hands. 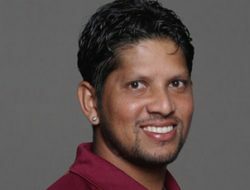 The Jaguars stumbled to 138 for six, after they resumed from their overnight total of 76 for two, but Paul and Shepherd added 57 for the seventh wicket and Pestano dominated a ninth-wicket stand of 59 with Veerasammy Permaul to ease concerns in the dressing room. 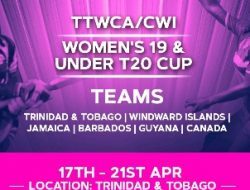 Hurricanes lost WINDIES opener Kieran Powell for seven to Paul before stumps were drawn, leaving Montcin Hodge, not out on 17, and Keacy Carty, not out on three, to lead the charge for victory. 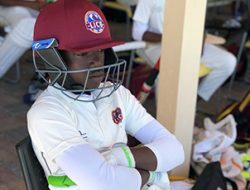 Bulli snared 4-54 from 16 overs to disrupt the plans of Volcanoes, after they had gained a slim first innings lead over Scorpions, thanks to a spell of 4-79 from 38.5 overs from Edward. 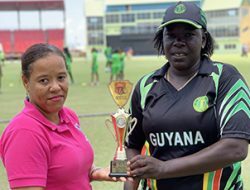 After Volcanoes reached 86 for two in their second innings, Bulli struck in successive overs to remove veteran left-handed opener Devon Smith for 47 and his captain, Barbadian Kirk Edwards for 21, leaving the hosts 89 for four. 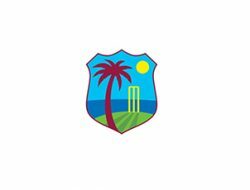 A 58-run stand for the fifth wicket between Kavem Hodge, whose 52 from 72 balls in two hours at the crease included seven fours, and Alick Athanaze brought some stability back to the Volcanoes’ batting. 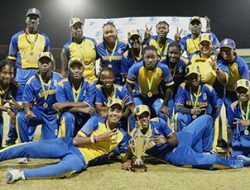 But Barbados part-time off-spinner Kenroy Williams bowled Athanaze for 27 and this sparked more instability, as Volcanoes lost four more wickets for 31 in the space of 70 balls.Earlier, Chadwick Walton finished with a career-best 125 – adding just 12 to his overnight score – before he was lbw to Hodge and his innings looked like it had put Scorpions on course to overtake Volcanoes’ first innings total. 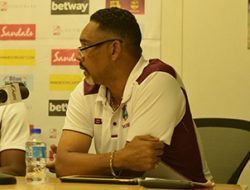 But Edward took the lead in running through the bottom half of the visitors’ batting, as they lost their last four wickets for 41 in the space of 18 overs.